When an image is introduced to the system in detection mode, our software can instantaneously, within a few milliseconds and with 100% accuracy, determine if that image is in fact that of a human face or of some non-human object. What’s more, Smilart FRT can be used in detection mode to identify if, for instance, a seat belt is being worn or what the characteristics of a license plate are, as well as determine if an online subscriber is uploading an image of a human face to their profile, and so on. Pretty much any scenario where a camera image is utilized is also a scenario where FRT detection can be used. Below you can slide your cursor over a few examples we provided that offer some great ideas of applications that Smilart detection can be used for. Keep an accurate head count of the number of visitors to sporting events; crowd control, etc. Tally customers to entertainment, hospitality, social and business events. Scan for license plates, broken wind shields, tinted windows, etc. 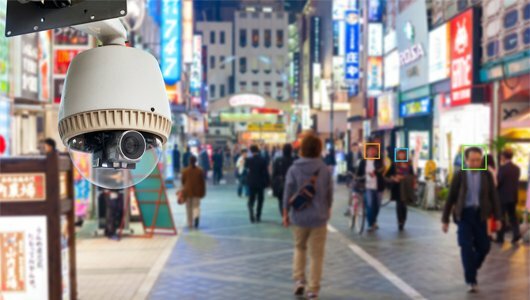 From law enforcement to image scanning, from photo IDs to bank cards, Smilart detection solutions are your go-to source for high-tech, high value, low cost solutions. Our platform is adaptable to almost any convenience or task. If you think that biometric detection may help you but have questions, contact us now to learn how you can benefit.